A longtime staple in Hawaii will soon make its way ashore, courtesy of Hawaii-born Kona Brewing Company. Big Wave Golden Ale will join Kona’s portfolio on the mainland that includes flagship Longboard Island Lager, Fire Rock Pale Ale and the trio of Aloha Series seasonals available at select times during the year. Brewed with tropical ingredients, the Aloha Series is comprised of Pipeline Porter, Koko Brown Ale and Wailua Wheat. 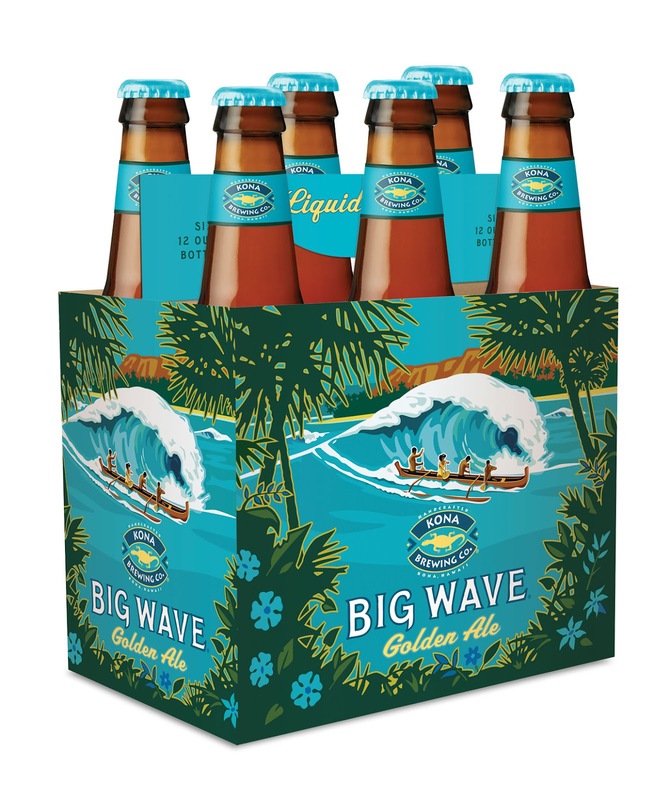 Like Longboard, Big Wave Golden Ale will be a year-round offering starting August 13, 2012, and will be available in 6-pack bottles in all 30 of Kona’s mainland markets. This is not a session beer. Session beers are defined as having an ABV of at most 4%. Actually, looking at your site, it appears that most of the beers you're writing about are stronger than 4%. Perhaps you ought to rename you blog. Standard response to this kind of comment: "session beer" is not actually "defined" by any British law, and is only loosely defined by British brewing tradition. It is also a relatively new term, less than 40 years old. Also, I am not writing in, or for, the UK; I'm in America, and writing about a range of beers that includes ones from outside the British tradition. The blog runs on the definition found on the upper right of the blog, under "You've Got the Next Round."